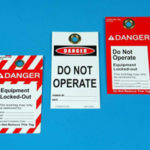 Lockout Tags manufactured by Stranco Inc. are specifically designed to support your lockout/tagout program in compliance with Federal Regulation 1910.147. Constructed of rugged 15 mil vinyl and UV screen inks, Stranco’s Lockout Tags are durable, moisture resistant, and outdoor durable. 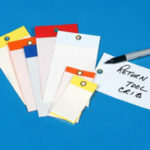 Some Lockout Tags have a clear, self-laminating flap to seal in your information and protect from chemicals, abrasion, and weather. 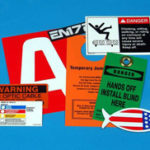 If you do not see the exact lockout tag you’re looking for, Stranco Inc. can create a custom tag for your needs.